The Fietsflat (Bicycle Flat) at Station Amsterdam Centraal. The structure is 100 meters long and three stories high, designed to park 2,500 bicycles. 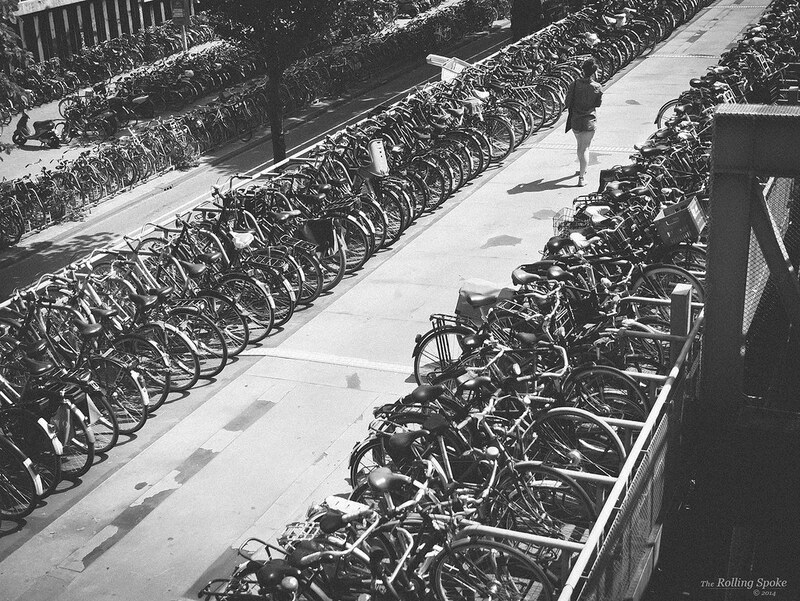 The most common complaint among those who use the parking garage is trying to remember where they parked their bike.